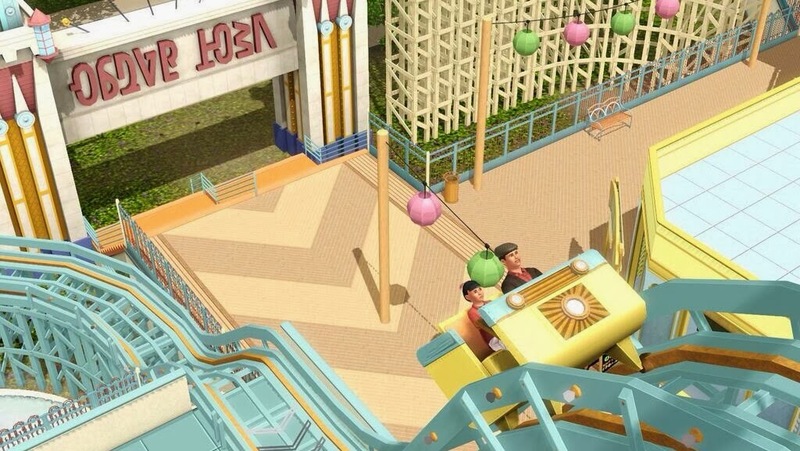 Car is a new WooHoo spot in The Sims 3 Roaring Heights. • Watch your Classically Cool Fixer-upper Car progress from a rundown shell up to a pristine work of art that is ready for the showroom floor! • Increase your Sim’s Handiness skill by fixing the engine, putting on a coat of paint, and waxing the body of the Classically Cool Fixer-upper Car! Speed up your work by having that Handy Sim in your family do what they do best. • Cuddle up close with that special Sim then shift the relationship into second gear and make out! You can also take it to the next level and join the Fifth Gear Club. • Show off your hard work and Rev the Engine to hear it Purr Like A Lion! Try it when your work is still in progress and it may be a bit unreliable. 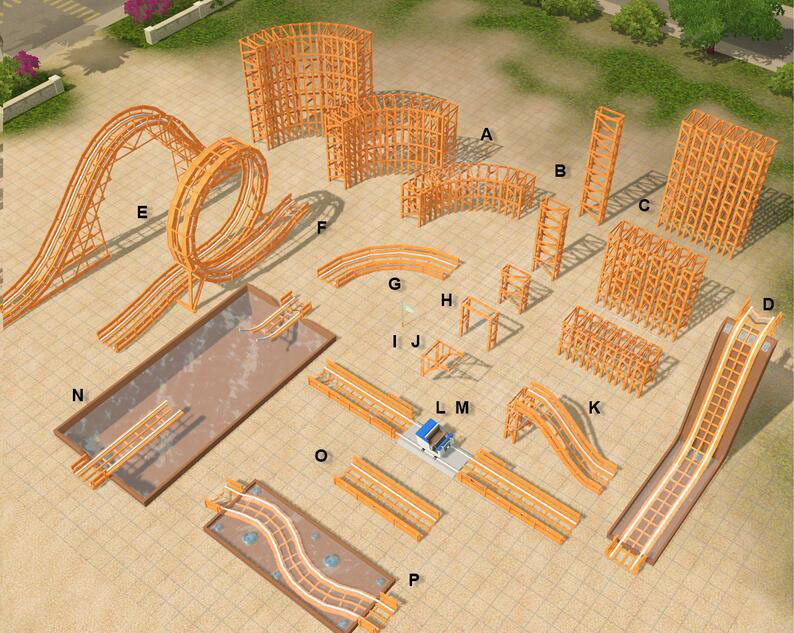 There are pieces of Roller Coaster you can assemble to make your own Roller Coasters. You can change their colors, pattern, and set the theme for some pieces. You can also Test For Valid Track, if you're not sure with the track you've made. 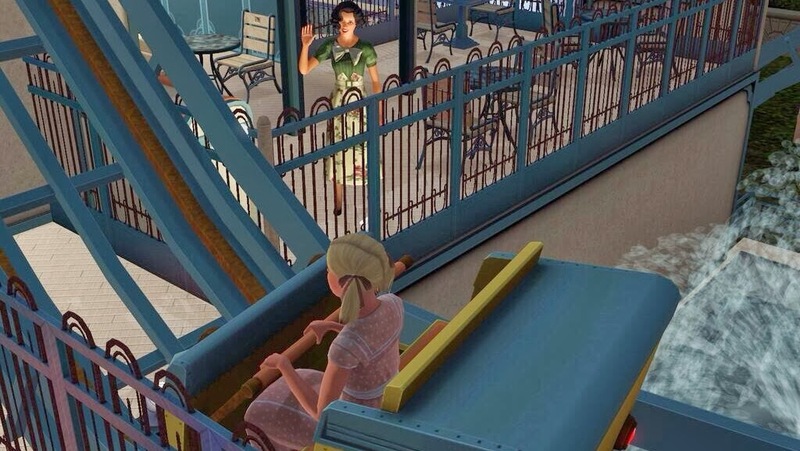 Depending on your Sims traits they will be more or less likely to put their hands up. 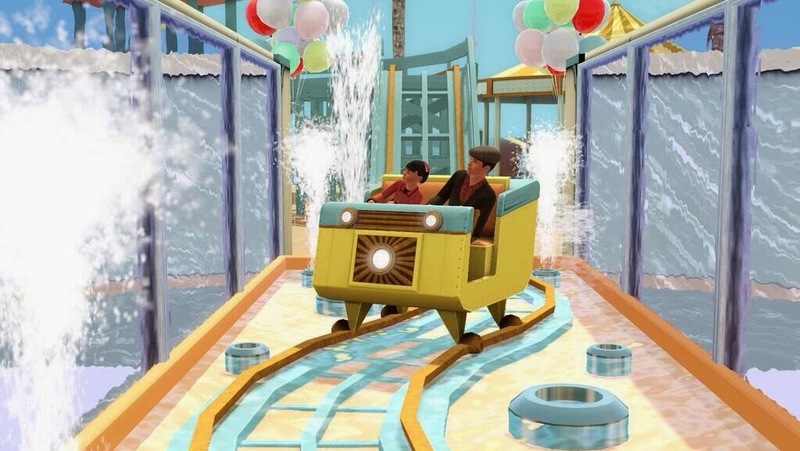 Sims snaking through the water geyser. Under the Boardwalk main entrance (left). 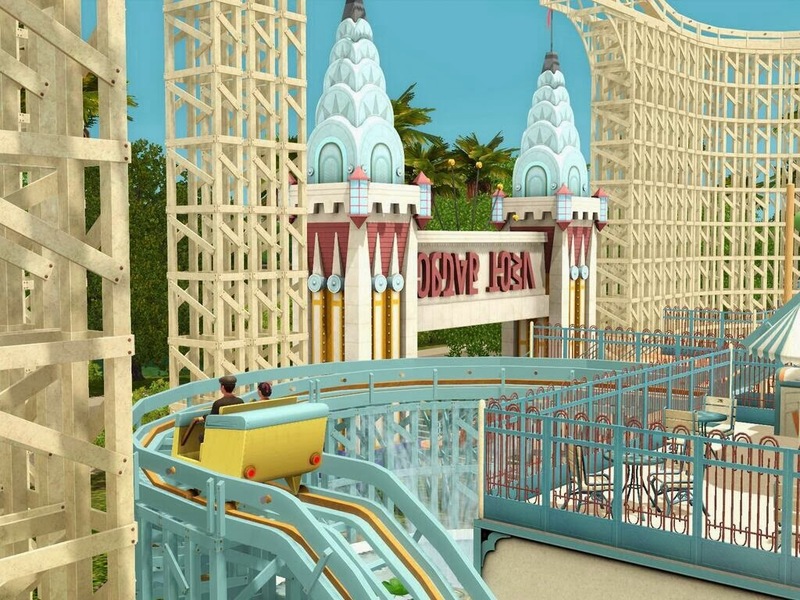 The Boardwalk second entrance (right), over by the outdoor dinning and observation deck. 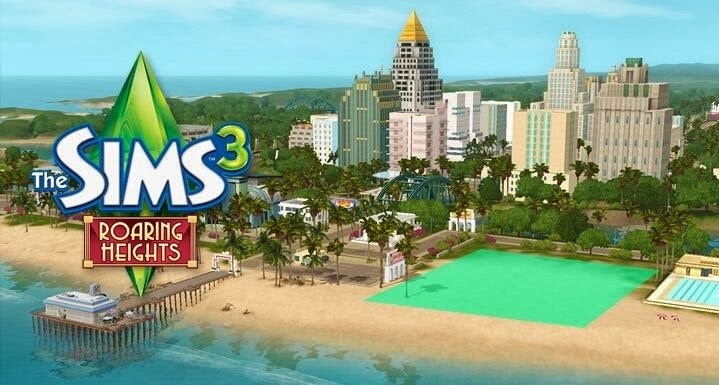 The Sims 3 Roaring Heights will be available as a Standard Edition and a Gold Edition. $20.00 for Standard (include the new world and 100 SimPoints). 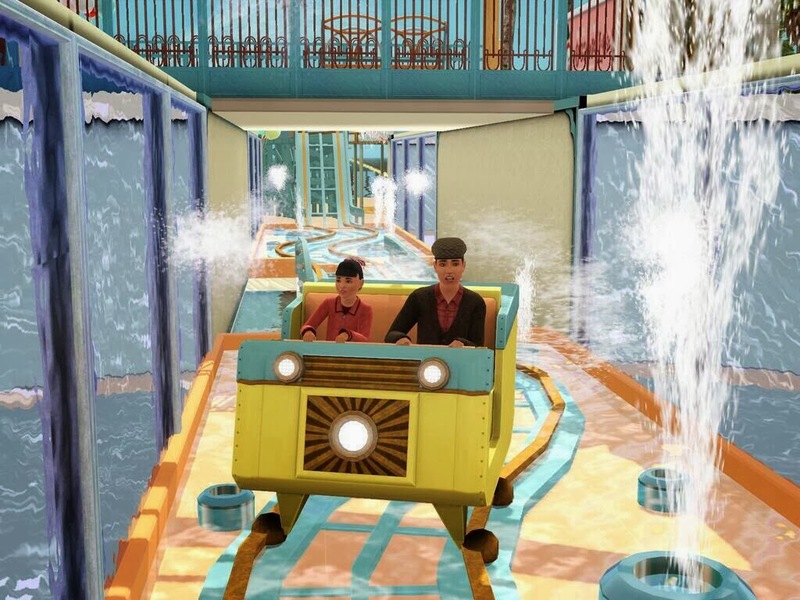 And $35.00 for Gold Edition (include the new world, Boardwalk Attire and 1,900 Simpoints). 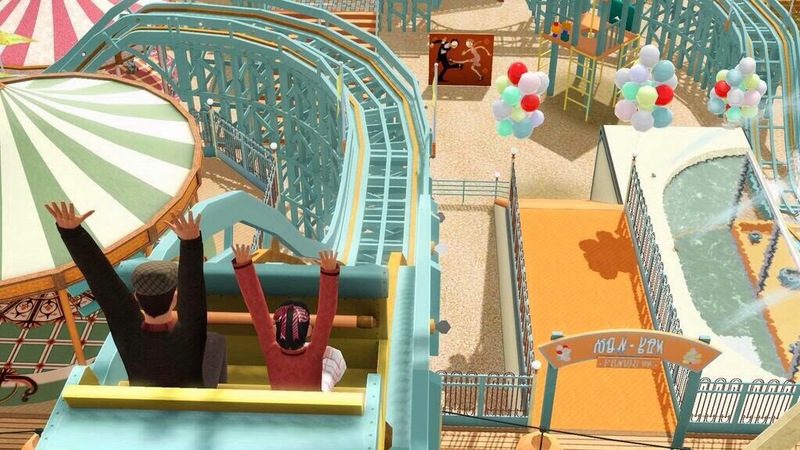 The Sims 3 Roaring Heights will be available on December 12th, 2013.